Customers have several common complaints about Business Loans. We will take a look at the Top 12 customer complaints with business loans. Customers often do not close an approved business loan because of one or more of these reasons. The rates and cost is too high. They want a better rate and terms. Customers often want and need a business loan with a lower rate and better terms. Another requirement is they need a business loan with lower total repayment and lower cost overall. for my business loan. They will go for a different loan if they cannot get what they want, or also get a second loan. The term of the loan is not good. Customers also say the term is too short and needs to be longer. Another requirement is a business loan longer than 24 months. It is not a Monthly Payment. A very frequent request is to get a business loan with a Monthly payment. Customers really want a Monthly payment if they can get it. It is a daily payment. Applicants will say right away if they do not want a business loan with a daily payment. They have had this type of business loan in the past and they will not close business loans that have a daily payment. 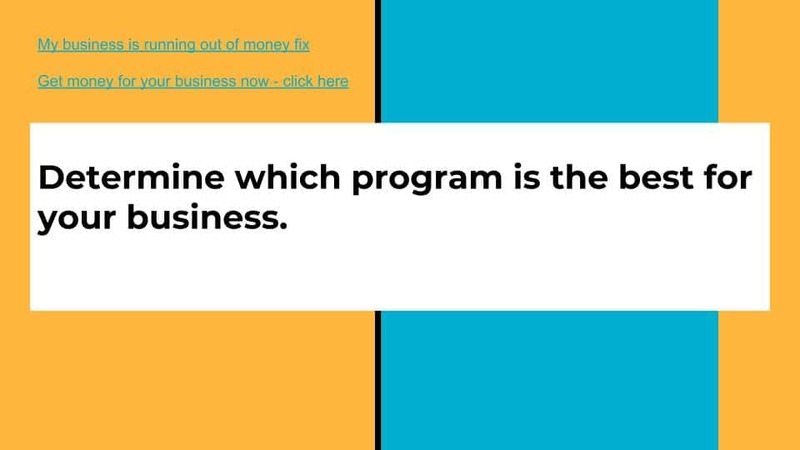 It is a Merchant Cash Advance. 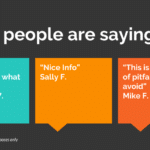 Customers oftentimes do not want a Merchant Cash Advance. They will say they need a business loan that is not a Merchant Cash Advance. When this is the case, the customer will look for alternatives to a Merchant Cash Advance. The Prepayment option is not good. Another complaint is they want a business loan with no prepayment penalty. They want to be sure they will get a good discount if they pay off early. Sometimes customers will tell you they don’t want the type of loan they have been approved for. They do not want an expensive business loan or want a different type of business loan. They are not sure what type they want, but they have decided they don’t want the one being offered. 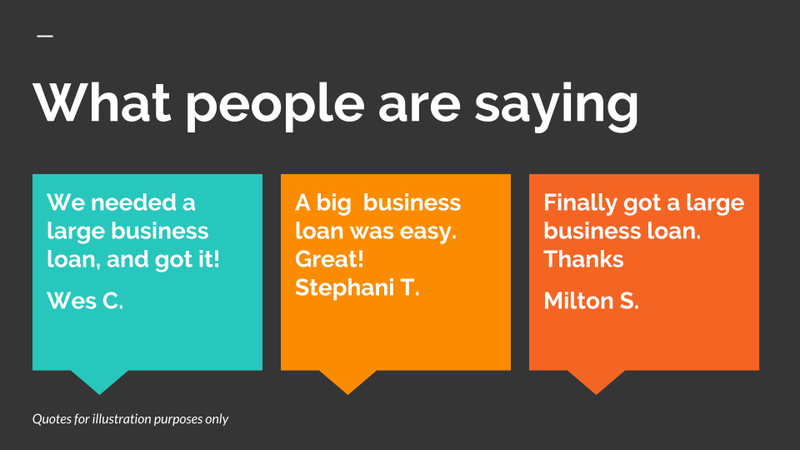 Have a conversation about other business loan types so Customers will get the loan that works for them. Many do not need or want a business loan with Collateral. They do not want to put up Collateral, or they do not have Collateral. Do not want to give a Personal Guarantee. Customers may not want to close a business loan with a Personal Guarantee. They believe they can get a business loan with no Personal Guarantee. There are very few business loans that do not require one. A business loan that reports on Personal Credit is sometimes requested. Applicants insist on a business loan that reports on their personal credit.In other cases, customers want the opposite. They want a business loan that does not report on Personal Credit and want to make absolutely sure there will be no reporting on their Credit Bureau. The request took too long. Some business loans that are eventually approved do not close because the processing time was too long. 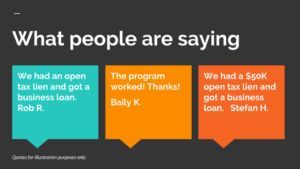 Customers will tell us they need a Fast business loan that does not take long to get.These are the Top 12 Customer complaints with business loans.Contact us for programs to avoid these common business loan problems. Canadian Business bank statement loans and also Accounts receivables financing options. Complete the secure Docusign 30 Second App for Canadian business loan now. What type of alternative business loans can I get in Canada? Canadian companies can find alternative working capital loans available in the United States. Another option is a business bank statement loan. 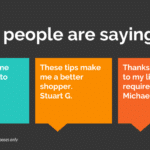 – $15,000 per Month in deposits each of the last 3 months. – 5 or more deposits per month. – An average daily balance of $2,500 or more. How do I qualify for a business loan in Canada? 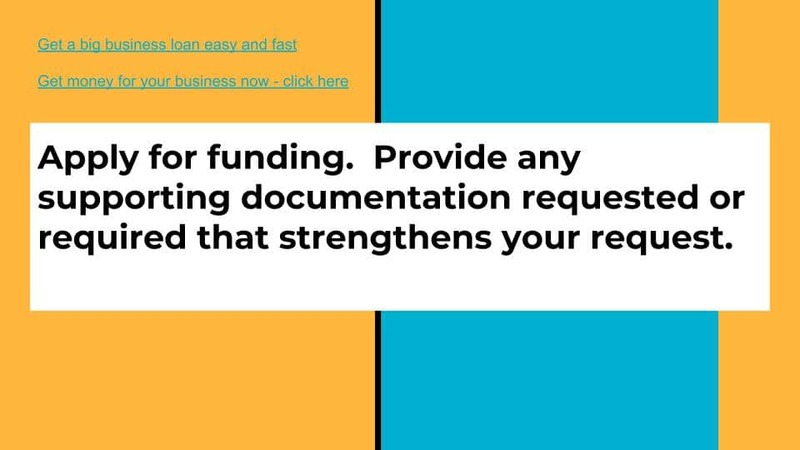 Review the alternative business loans for businesses in Canada on this page. Decide which option you may qualify for. 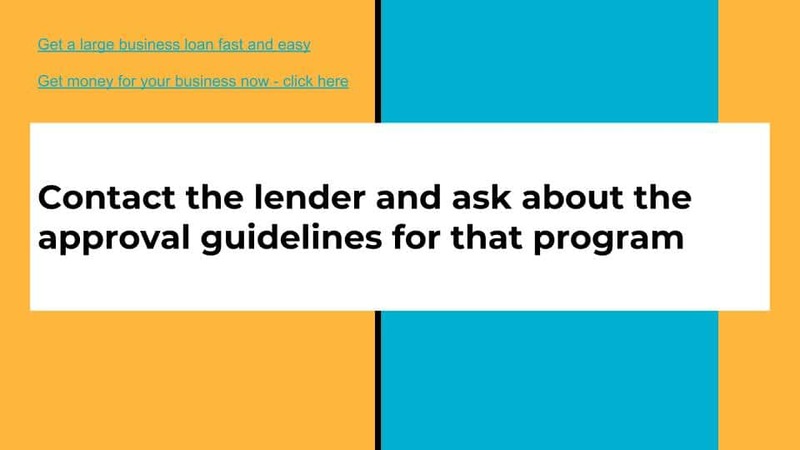 Complete the Online application above or call and talk to a representative and discuss which loan option might be best for your business. After a Company’s products have been delivered or services rendered to another company, they send an invoice for payment. Canadian Accounts Receivables financing funds about 75% of the face value of the invoice is paid immediately to the company issuing the Invoice. When the paying company pays the invoice, the last 25% is paid minus a service fee. As a result, the company’s cash flow is accelerated by 100% during the year. – “I need a Canadian business loan”, or “looking for a Canadian business loan”. 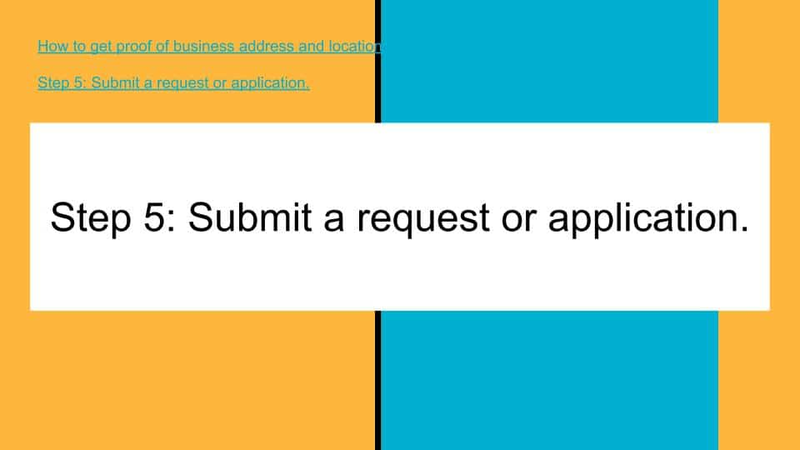 Some email requests include a “loan for a Canadian business”. 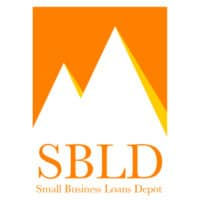 Canadian small business loans. 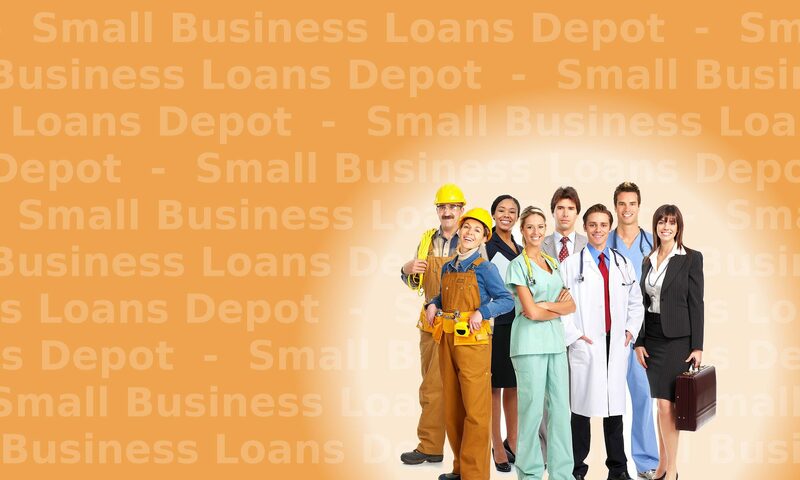 Get easy and fast alternative business loans for businesses in Canada. Online 1 Page short 30 second Application. SCORE and receive free and low cost mentoring for business plans and financial statements. When business loans are approved, they are often approved contingent on certain loan conditions being met. Conditions include business loan annual payout provisions by the lender. In most cases, traditional funding sources most often are the institutions that may require annual payout provisions. For this condition, the loan typically has to be paid down to zero at least once per year. This is a major condition that borrowers should be very cautious about. This may seem like a minor aspect of the transaction, but could end up being very hard for the business to do. For business loans that do not require an annual payout provision, click below. If business loans annual payout provisions are not met, what can the lender do? If the company does not pay out the loan one time per year, what can the lender do? 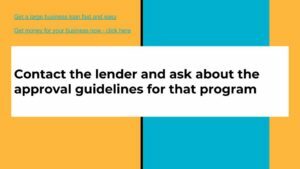 Does the lender have the right to call the loan? Will they raise the interest rate? Do they have the right to take some or all of the collateral? Can they liquidate any listed stock or bonds that were put up as collateral? If so, how likely is it the lender may do this? Will they do this fast or only if the long goes very far past due? These questions need to be asked. The borrower may have put up real estate as collateral. The borrower needs to consider the requirements if real estate is required for the transaction. If the transaction is for a larger amount, $100,000 or more, the borrower must consider their cash flow during the year. Even for businesses that have Gross Sales over $1,000,000 per year, coming up with $100,000 is challenging. The business should consider their average monthly bank balance as an estimate of the most they can come up with at any given time. That amount is the maximum they should have on their loan during the year. Business Loans with annual payout provisions. Callers call in requesting information on identical or similar topics. Callers request information on “business loan annual payout provision” or “annual payout provision”. They also ask for information on “annual payout provisions”. New York: In Albany, NY. In Batavia, NY. In Buffalo, NY. In Cheektowaga, NY. In New York City, NY. In Niagra Falls, NY. In Rochester, NY. In Schenectady, NY. In Seneca Falls, NY. In Syracuse, NY. In Yonkers, NY. Michigan and Ohio: In Akron, OH. In Ann Arbor, MI. In Canton, OH. In Cincinnati, OH. In Cleveland, OH. In Columbus, OH. In Dearborn, MI. In Detroit, MI. In Flint, MI. In Grand Rapids, MI. In Marion, OH. In Maysville, OH. In Muskegon, MI. In Toledo, OH. In Wilmington, OH. In Wyoming, MI. In Youngstown, OH. Illinois, Indiana, Wisconsin: In Anderson, IN. In Carmel, IN. In Chicago, IL. In Elgin, IL. In Eau Claire, WI. In Fort Wayne, IN. In Gary, IN. In Indianapolis, IN. In Madison, WI. In Milwaukee, WI. In Naperville, IL. In Peoria, IL. In Racine, WI. In Springfield, IL. In Waukesha, WI. Iowa, Minnesota, and Missouri: In Bloomington, MN. In Davenport, IA. In Des Moines, IA. In Duluth, MN. In Minneapolis, MN. In Overland Park, MO. In Springfield, MO. In St. Charles, MO. In St. Joseph, MO. In St. Louis, MO. In St. Cloud, MN. Kentucky, Virginia, Washington, D.C., and West Virginia: In Alexandria, VA. In Arlington, VA. In Chesapeake, VA. In Huntington, WV. In Kenner, VA. In Lexington, KY. In Louisville, KY. In Newport News, VA. In Norfolk, VA. In Petersburg, VA. In Richmond, VA. In Virginia Beach, VA.
Charlotte, NC. In Chattanooga, TN. In Columbia, SC. In Concord, NC. In Davidson, TN. In Dunn, NC. In Durham, NC. In Fayetteville, NC. In Franklin, TN. In Gastonia, NC. In Greensboro, NC. In Greenville, SC. In Henderson, NC. In Hickory, NC. In High Point, NC. In Kingsport, TN. In Knoxville, TN. In Mauldin, SC. In Memphis, TN. In Morristown, TN. In Murfreesboro, TN. In Myrtle Beach, SC. In Nashville, TN. In Raleigh, NC. In Sanford, NC. In Sevierville, TN. In Shelbyville, TN. In Spartanburg, SC. In Winston-Salem, NC. Florida: In Cape Coral, FL. In Clearwater, FL. In Daytona Beach, FL. In Deltona, FL. In Fort Myers, FL. In Ft. Lauderdale, FL. In Hialeah, FL. In Jacksonville, FL. In Lakeland, FL. In Melbourne, FL. In Miami, FL. In Ocala, FL. In Pensacola, FL. In Kissimmee, FL. In Naples, FL. In Orlando, FL. In Ormond Beach, FL. In Palatka, FL. In Hoover, AL. In Huntsville, AL. In Jackson, MS. In Mobile, AL. In Montgomery, AL. In Savannah, GA. In St. Mary’s GA. In Talladega, AL. Arkansas and Louisiana: In Baton Rougue, LA. In Fayetteville, AR. In Forrest City, AR. In Lafayette, LA. In Little Rock, AR. In Metairie, LA. In New Orleans, LA. In Shreveport, LA. Oklahoma and Texas: In Arlington, TX. In Austin, TX. In Barletsville, OK. In Beaumont, TX. In Corpus Christi, TX. In Dallas, TX. In Edinburg, TX. In El Paso, TX. In Ft. Worth, TX. In Houston, TX. In Killeen, TX. In Lafayette, LA. In Mission, TX. In Muskogee, OK. In Oklahoma City, OK. In McAllen, TX. In New Braunfels, TX. In Round Rock, TX. In San Antonio, TX. In Shawnee, OK. In Sugarland, TX. In The Woodlands, TX. In Tulsa, OK.
Arizona and Utah: In Albuquerque, AZ. In Fragstaff, AZ. In Mesa, AZ. In Nogales, AZ. In Ogden, UT. In Phoenix, AZ. In Provo, UT. In Scottsdale, AZ. In Salt Lake City, UT. In Tucson, AZ. Nevada, Oregon and Washington: In Bellevue, CA. In Eugene, OR. In Henderson, NV. In Las Vegas, NV. In Olympia, WA. In Portland, OR. In Reno, NV. In Seattle, WA. In Olympia, WA. In Paradise, NV. In Portland, OR. In Salem, OR. In Seattle, WA. In Sparks, NV. In Spokane, WA. In Tacoma, WA. In Vancouver, OR. 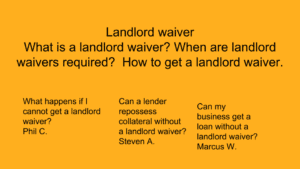 Why are landlord waivers required for Business Loans? What is a landlord waiver? Definition of a landlord waiver. 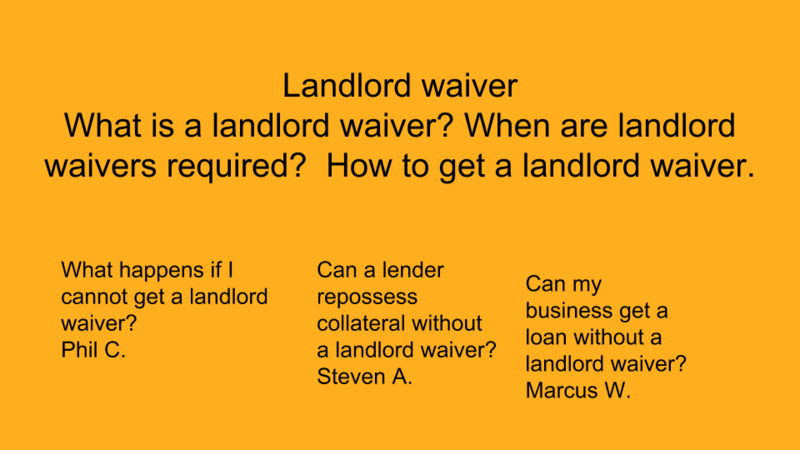 Why are landlord waivers sometimes required for business loans? If you want to get funding without a landlord waiver requirement, scroll down and apply below. In many cases the need for a landlord waiver is questioned by the borrower. Why do lenders require landlord waivers for many popular small business loans such as a loan using bank statements? The lender has made an asset based loan or loan against equipment, such as vending machines or restaurant equipment. Secure DocuSign 30 Second Application here.. Lenders require landlord waivers to avoid or minimize losses for businesses with bad credit or slow pay as well as default on previous loans. Many business loans include collateral that is on the premises of the borrower. The landlord waiver allows the lender to enter the property and obtain the collateral in the event of a default. If the lender did not have a signed landlord waiver, they could not enter the place of business of the borrower to take their collateral. Without the landlord waiver, the lender cannot legally enter and repossess collateral. The owner of the property can seek recourse against any lender entering the premises without permission of the landlord. There are some business loans in which a lender asks for a landlord waiver but does not consider it critical for the loan. This requirement is one of the top customer complaints with business loans. A lender normally considers a landlord waiver absolutely critical if they ask for it and will not fund a transaction without the waiver. Lenders worry that a landlord will refuse to allow them on the business property. If this happens, the lender may not be able to recover their collateral if there is a default. Why do I need to get a Landlord waiver? In the vending industry, lenders that finance multiple vending machines will not fund transactions without all of the required landlord waivers. Lenders that finance vending machines know that if they finance 10 vending machines, those 10 machines may be in 10 different locations throughout a metropolitan area. If the borrower defaults, the lender would have to go to 10 locations to pick up the collateral. They also cannot simply show up at a place of business to pick up collateral. They must also have to have permission from the owner of the property because they will be uninstalling equipment, which is considered making a change to a property. The lessee agrees in the lease not to make a change in the property without the permission of the landlord, so the lessee is obligated to contact the landlord. What is a landlord waiver? Are landlord waivers required for a business loan? In the event of a default on this asset based loan lenders do not want to contact 10 different landlords. Each landlord would have to agree to an on site repossession. The landlords know if they agree, those business that leases space from them may go out of business. The landlord does not want the lessee to go out of business. The landlord may want to deny the request. These are the reasons why lenders will ask for and also obtain a landlord waiver when a business loan is first closed. The SBA also offers info on working with and negotiating with landlords.